There was a restaurant along Roxas Boulevard in the Malate district of Manila that always caught my attention. I first saw it as we traveled from the airport to our hotel in Ermita. Then it always gets me curious. We pass by it every time we commute from the Bayview Park Hotel to the Mall of Asia or elsewhere we went in Metro Manila. This restaurant was the Aristocrat Restaurant, a pre-World War II restaurant that is open 24 hours. On 30 January 2016, we were supposed to go with our Tita Babam to Maginhawa Street in Quezon City. However, they got stuck in heavy traffic for three (3) hours on the way to our hotel. When they got to us, they decided against the original plan. So they hosted us at the Aristocrat Restaurant. 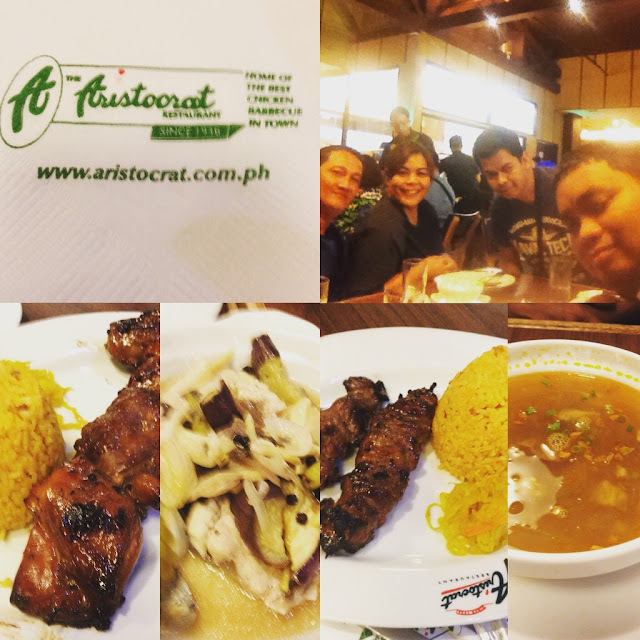 The Aristocrat Restaurant is located right beside Plaza Sulayman (or Plaza Soliman) in the Malate district of Manila. It is just a stone's throw away from the Malate Church. Just along Roxas Boulevard fronting Manila Bay. This was not far from the Bayview Park Hotel where we were staying. I ordered the paksiw na tiyan ng bangus. 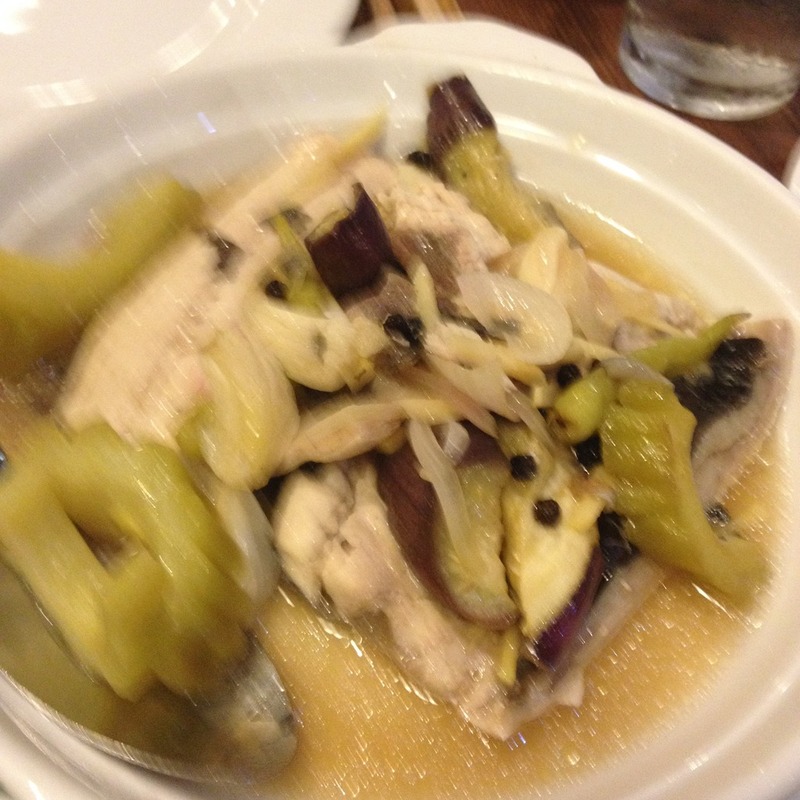 A generous serving of milkfish belly poached in vinegar broth with ampalaya (bitter gourd) and eggplants. Tita Babam noticed how popular this dish was with the other patrons. It should be. I am usually not a fan of paksiw na bangus or ampalaya. But this one was delicious. I ate both the milkfish belly and the vegetables. 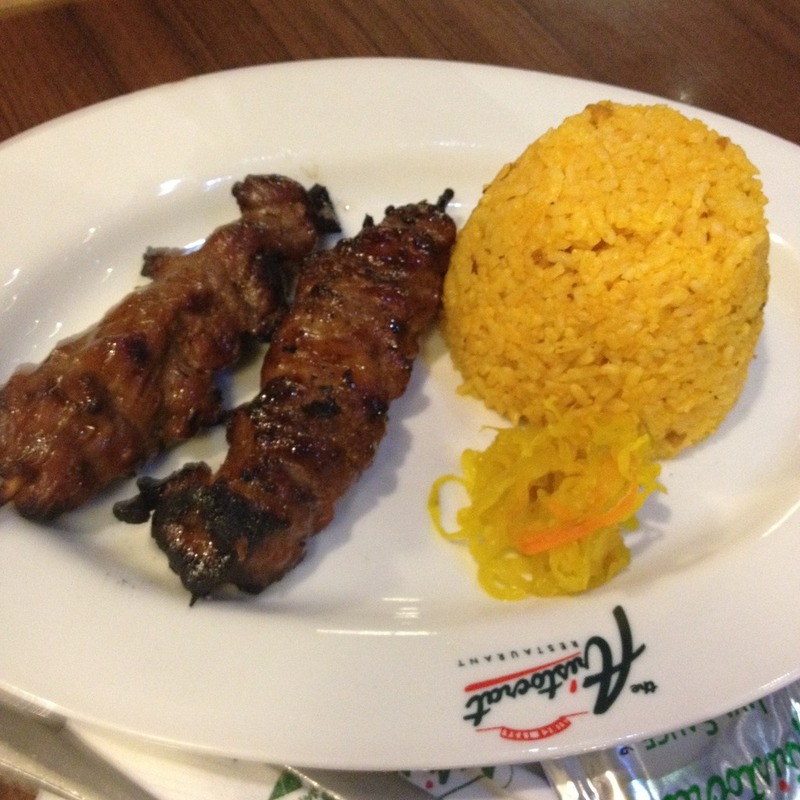 Both the pork and chicken barbecue at Aristocrat Restaurant is a good one. It took a while to serve our orders. Probably because they did not rush the preparation. The meat was evenly cooked and not charred. Yet was still very juicy. This must have been cooked in slow fire making sure that the meat was cooked thoroughly on both sides. The portions were also surprisingly big. 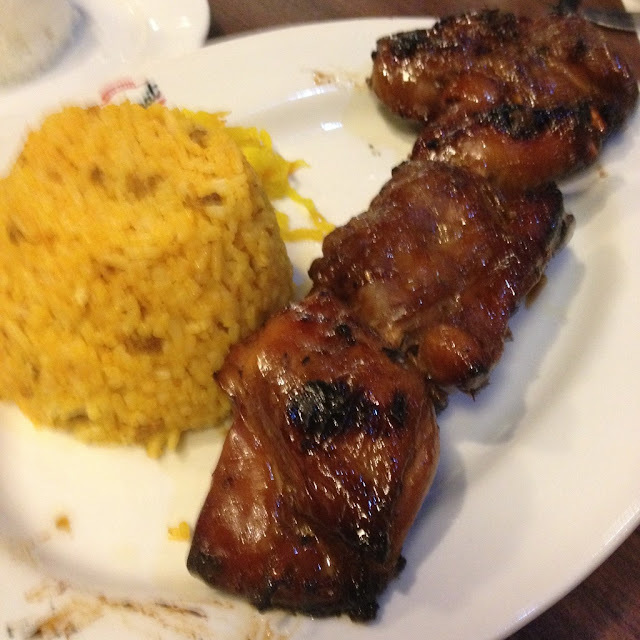 There's a reason why they claim to have the best chicken barbecue in Manila. Banawe 238 St. Brgy Manresa, Q.C.